I am excited to be teaching this doctoral level methodology course this fall. A survey of educational research methodologies broadly defined as ‘participatory’ – i.e., intended to support the involvement of as many interested and affected agents and agencies as possible and oriented toward meaningful, impactful, and sustainable action. The aim of this course is to support your understanding of assumptions underpinning a range of theoretical traditions and their relationships to participatory research methodologies. You will examine and locate various theories according to their source and tradition, and will examine these theories against the backdrop of the intellectual traditions from which they originate. In examining each of these theories and their associated methodologies, you will begin to clarify your epistemological, ontological, and axiological stances in relation to participatory research methodologies. This is a reflexive process that will require you to begin to develop an understanding of your role as a researcher and your relationships to your research context and its participants. This course supports your coming to make sense of the nuanced relationship between the researcher and his or her research context by way of working through the early intricacies of placing the self within the research inquiry. It helps you to understand and challenge the assumptions you bring to research through such questions as: What is the nature of reality? How does a worldview influence a perspective on the nature of knowledge? Where and how does knowledge come to be located and positioned? What knowledge counts as a legitimate way of knowing? What are the variant ways in which we come to know? How do we come to know and understand through different interpretive frameworks? What are the ways in which knowledge is signified? How might previous experiences and values influence choices of a research inquiry, a methodology, and associated methods? In looking across these research traditions and methodologies, the intent is for you to delve into their pragmatics and problematics, as well as to develop an understanding of the relationship between methodologies and methods. To this end, we will examine closely the notion of commensurability in research designs. Throughout this course we will how we come to know what constitutes a research problem, how do we make sense/identify/mark/frame a particular lived experience as being researchable, what is the purpose of your research, what is the importance of the research and what are the ways in which a specific subject matter becomes the focus of inquiry. In particular, the course helps you get situated ethically and conceptually. To consider the epistemological, ontological and axiological assumptions within the primary research paradigms and educational research methodologies. To examine the conceptual influences behind participatory methodologies, and distinguish key movements and emphases in participatory methodologies. To articulate an understanding of conceptual and theoretical underpinnings of educational research including the interwoven nature of research questions, research methodology and methods. To partake in a reflexive inquiry concerning your values, perspectives, beliefs, experiences and understandings about research. Issues around ethics and integrity have become increasingly important in higher educational contexts in a variety of ways including research, teaching and leadership. With increasing expectations of research outputs; interest from students to conduct research involving human subjects; and ethical dilemmas of educational leaders in an age of commodified higher education, issues relating to ethics and integrity permeate every aspect of life in the academy. We intend for this special issue to encourage dialogic interaction among scholars, elevating the discourse around ethics and integrity across disciplines. All submissions should be substantiated with relevant and current research evidence. Submissions are welcome in English or French. Maximum 500 words, briefly outlining the topic, including a maximum of 5 references of related relevant works (no self-citations). EOIs will be screened for suitability and quality. Invitations to authors to submit full manuscripts will be based on the quality of the EOIs. We anticipate inviting approximately six full manuscripts. We encourage interested parties to contact us with a query e-mail before submitting an EOI. About the JET: Now in its 51st year of publication, the Journal of Educational Thought is a university-run journal that promotes speculative, critical, and historical research concerning the theory and practice of education in a variety of areas including administration, comparative education, curriculum, educational communication, evaluation, instructional methodology, intercultural education, philosophy, psychology, and sociology. The Journal is international in scope and qualitative in nature. It serves a broad international readership: specialists in the areas mentioned, scholars, and the public in general. We invite submissions in English or French. 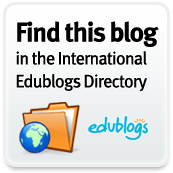 You are currently browsing the Learning, Teaching and Leadership blog archives for August, 2018.